low square table. the top, 15mm thick, is available in transparent, transparent extra light, acid-etched extra light, lacquered or opaque satin glass. 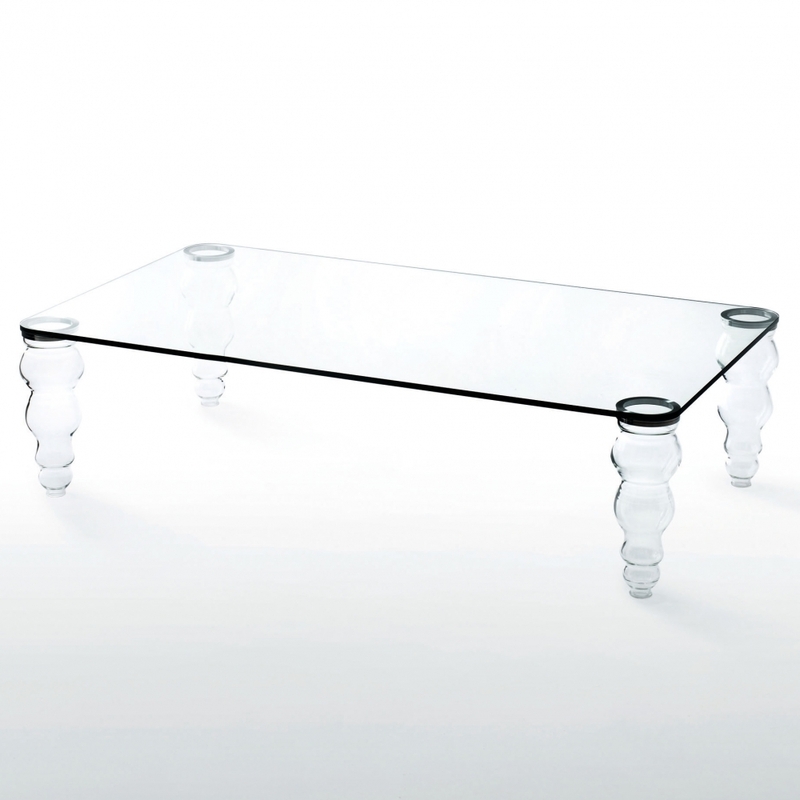 the feet are in moulded and shaped borosilicate glass.